HighRisk Gateways is an online international payment gateway service provider, specialising in e-commerce solutions for merchants of all sizes and all risk types. HighRisk Gateways works with 100s of domestic and foreign acquirers who provide settlement services for international transactions. The Team HighRisk Gateways is feeling appreciated seeing you on our website. We are devoting all our passion and interests in providing you the best High Risk Merchant Account globally at very cheaper rates. It is your love that we are going to become an industry leader. Our online payment processing solutions have been designed with a high standard of innovative services allows us to find fast, attractive and competitive solution for your online business. We serve merchants worldwide in nearly every genuine industry. Our online application process is quick, easy and simple. 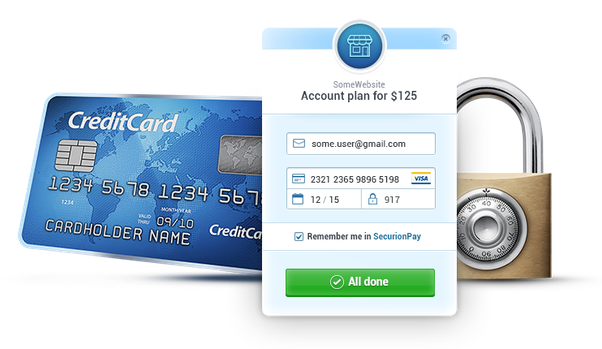 So if you are looking for High Risk Payment Gateway to accept payments through credit card. Apply Now today and start accepting online payments from your customers. Give your customers the options they need! For any online business, reliable and secure payment processing is critical. HRG provides world-class payment processing services for online businesses just like yours, providing a full suite of complimentary merchant services in order to drive maximum payment. HighRisk Gateways can help you to accept electronic credit card payments quickly in affordable manner by Credit Card Processing solutions. With a network of proprietary processing platforms and systems by our banking partner. We are a well known trusted echeck payment gateway provider in the Indian market. HighRisk Gateways can place almost every Indian genuine business for E-Check, ACH or Check21. Which allow the merchants to add the echeck option in their various payments platform. HighRisk Gateways always care for our merchant’s business as our business. We think and act like your business partner by serving offshore credit card processing solutions. Opening an offshore merchant account with Highrisk Gateways is very easy and secure. Having credit card solution does not give the flexibility to merchant to collect the payment from all customers. For many merchants, this can be a missed revenue opportunity. HighRisk Gateways flexible ACH Payment Processing and eCheck payment options offer. HighRisk Gateways is a secure, reliable online international payment gateway service provider, specialising in e-commerce merchant solutions for high risk merchants. We accept merchants of all sizes and all risk types from low to high risk worldwide. HighRisk Gateways Welcomes – All Merchants like Bad credit and high risk merchants. No matter what you sell or how you sell it, you can accept credit cards online for your website. We have been in the business from last 5 years and we have approved the various verticals across the High Risk Business. We have received many It Support Companies application from India and most of them were approved with our International acquiring solution. You could be up and running to accept credit card, eCheck payments on your website within a week, if you start your application processing with us today! Why HighRisk Gateways for Your Online Payment Processing Solutions? For business transaction online, you need need a payment processing solution that can simplify the online transaction process. It is very simple and fast process and you need not have to undergo a number of procedures in order to complete a transaction. To make your business platform fully functional, the internet has various payment gateways so that you can do business through fast and efficient mode. The banking partner can use your funds to pay for transactions or get paid your customers if any refund received. You will be receiving funds according to payout schedule. We accept all major credit/ debit cards, at a minimal cost of as low as on bank rate (the friendliest price in the market since last 6 years that can also be revised after good processing volume ). We provide our merchants multi current payment processing platform. You can receive payments from anywhere in the world. We can help you to get the funds in desired currency also. You will be experiencing the professional consulting and troubleshooting on all online payment related issues. We will always feel glad to assist you in the process and answer your questions. Integration to web platform is just 2 mins task. Any non-technical person can also do this by following the guidelines. Monitoring of each and every transaction or payments to avoid the fraudulent transactions so that we can keep your business safe. Our system deliver the same checkout experience on any device with our mobile-optimized payment page. The demands for financial institutions have changed a bit, They ask lots of documents not sure why? But High Risk Gateways gave me EMS merchant account for my business without hassle which is…. So Perfect. We were amazed with HighRisk Gateways Team by how little effort was required on our part to have me up with merchant account. We exchanged a few phone calls and e-mails, and they… handled the rest. Simply fill out the form below. You will be contacted within one business day.